The box of the new Fireball Island. 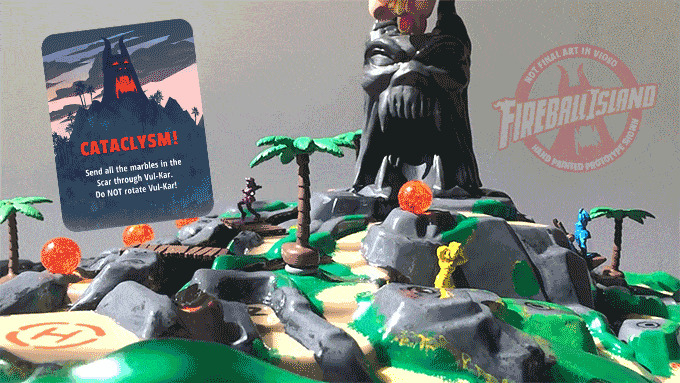 If you had the board game Fireball Island in the ‘80s, odds are you never forgot it. Not just because it was a wild game that let you race marbles around and knock out opposing players, but because the box and board were so ridiculously massive. That original game was shelved by Milton Bradley long ago but, as of today, it’s making a comeback. 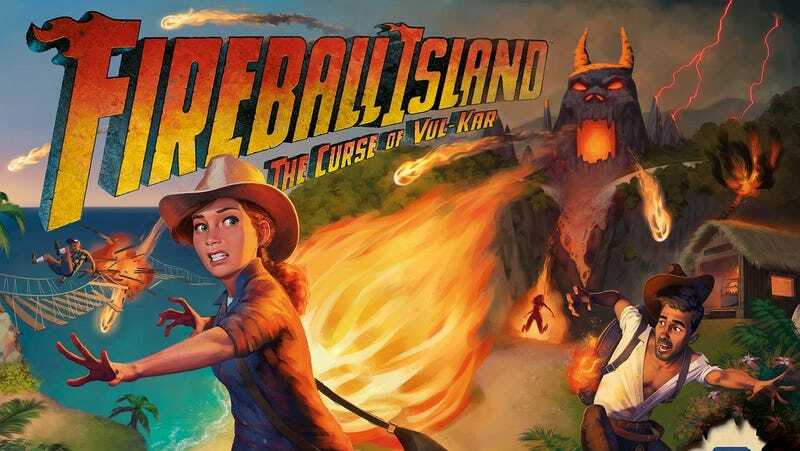 Restoration Games just put up a Kickstarter for a new, more compact but still action-packed version of Fireball Island—and in less than a day, it’s already blown past its $250,000 goal. That means it’s actually going to get released. Here’s the company’s Kickstarter video. And here are a few photos and GIFs of a prototype version of the new board, which looks simply awesome. The full board and box. A closeup of the board. All the fireballs at once! The video gives a good overview—but basically, the best part of the original game was putting a marble in the mouth of Vul-Kar and watching it roll down the board, randomly wreaking havoc on other players. The rest of the game was kinda simple, but that part was amazing. All of that original action is included here but now it sounds like things are a little more strategic. It seems like a worthy upgrade. The Kickstarter is at this link and is hitting new stretch goals hour by hour, which is exciting. 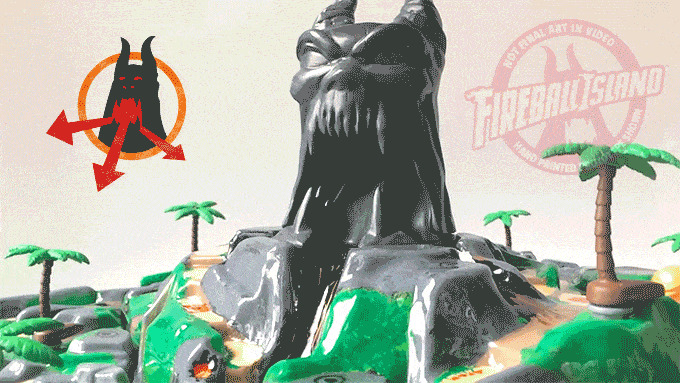 The aim is to have this new version of Fireball Island in homes by November.